Impaired Driving Prevention: What You Need to Know to Play it Safe on the Road | GUIDE, Inc. In 2016, 44% of drivers in fatal car crashes in the U.S. (with known results) tested positive for drugs. 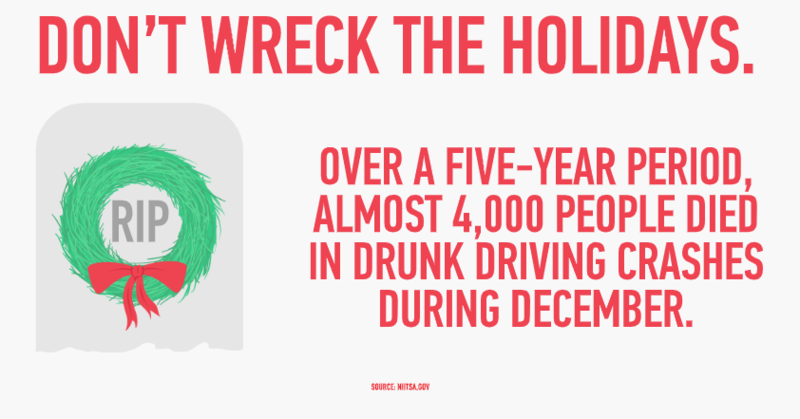 In that same year, 24% of the traffic fatalities in Georgia were related to drunk driving. Most of these deaths could have been prevented if someone had done something to keep impaired drivers off the road. Because of the severity of this issue, December is National Impaired Driving Prevention Month, also called National Drunk and Drugged Driving (3D) Prevention Month, which raises awareness around impaired driving and what we can do to help. While drunk driving has decreased somewhat in recent years, more than 10,000 people still die annually in alcohol-impaired driving crashes – that’s one every 50 minutes. But wait, there’s more to the story. Research is showing that alcohol is not the only problem on the road. In a 2010 national study of fatal crashes, 47% of drivers tested positive for a prescription drug and 37% tested positive for marijuana. Young drivers are particularly at risk for being impacted by drunk and drugged driving. Vehicle accidents are the leading cause of death among people aged 16 to 19. When you combine teens’ inexperience at driving with the use of substances that have a damaging impact on the brain, the results can be tragic. Never allow alcohol to be provided or served to minors. It’s against the law, and it’s dangerous. If you’re planning an adult party or social event, make sure there are plenty of non-alcohol beverages provided and that they’re prominently displayed. If alcohol is going to be provided, encourage – or insist – that designated drivers be identified early on. Choosing the “less drunk” person to drive at the end of the night is NOT the same thing! Provide lots of protein and high carbohydrate food and snacks, but steer clear of salty ones that make people want to drink more. It’s best to have guests eat first so they’re not drinking on an empty stomach. If you’re an adult, and you’re thinking about drinking, be aware that there are times when you are more vulnerable to alcohol impairment. If you’ve been feeling sick or rundown, you’re taking medicine that increase impairment when mixed with alcohol, or you haven’t eaten, you may want to reconsider drinking for the time being. If you’re pregnant or need to operate a car or other heavy equipment, choose not to drink at all. NEVER drive under the influence of alcohol or other drugs and don’t get into a car being driven by someone who is. Arranging for alternative transportation may save your life.